The Federal Trade Commission (FTC) estimates nearly 9 million Americans have had their identities stolen within the last year. 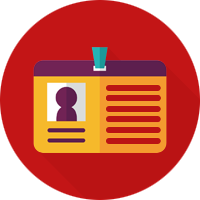 Identity fraud is one of the fastest growing crimes in the U.S. As an employer you should be confident in knowing who you are hiring. Your applicant should be honest with the most basic information to establish a trusting employer-employee relationship. Although an address history will provide some preliminary information related to a social security number, A Good Employee’s in-depth social security number verification validates your prospective employee’s social security number and substantially reduces identity theft exposure.